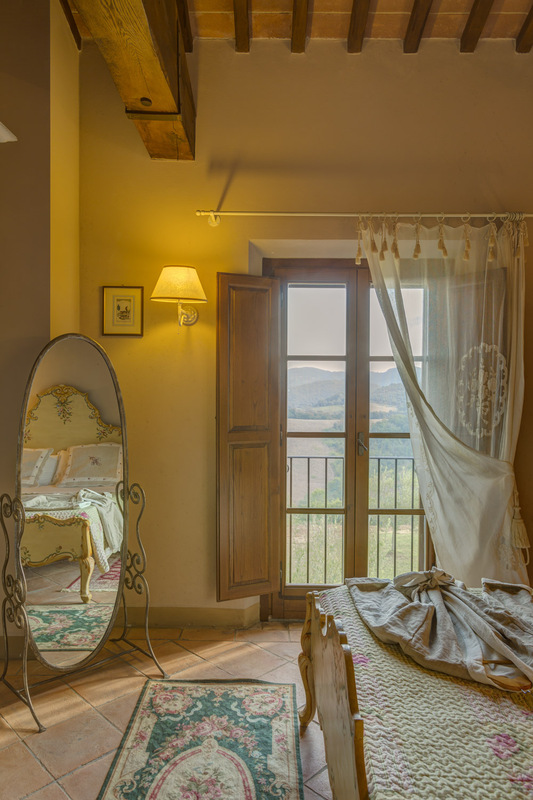 What about waking up in this luxury room in Tuscany with a view? 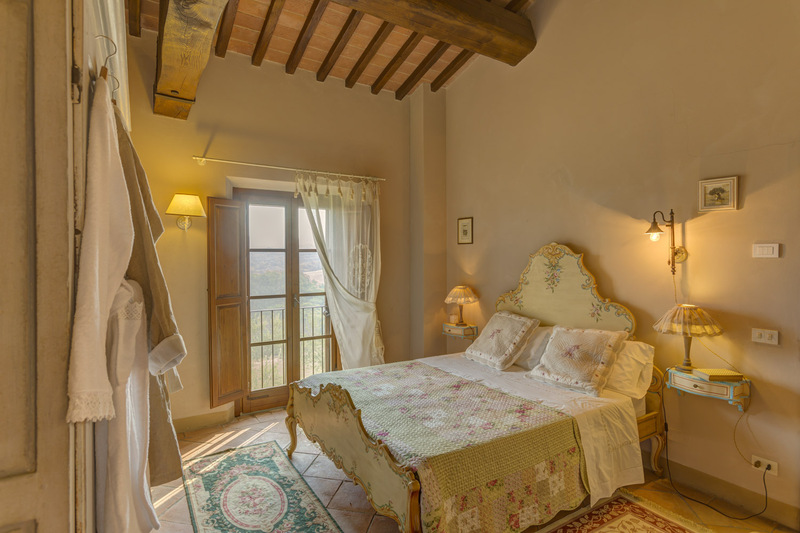 The olive grove is what you will see watching out of your window, a characteristic landscape of the region, which will give you the occasion to directly reach the heart of a charming dimension made of dreams, just a step far from the wrought iron railing. 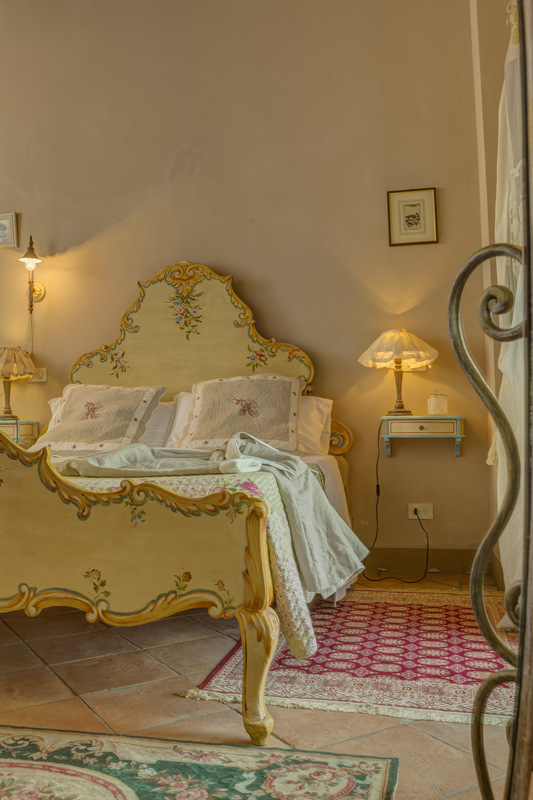 Located on a natural enticing hill, Villa Ciggiano, the most authentic and refined among the luxury villas for rent in Tuscany, will offer you the opportunity to fulfill all of your desires. 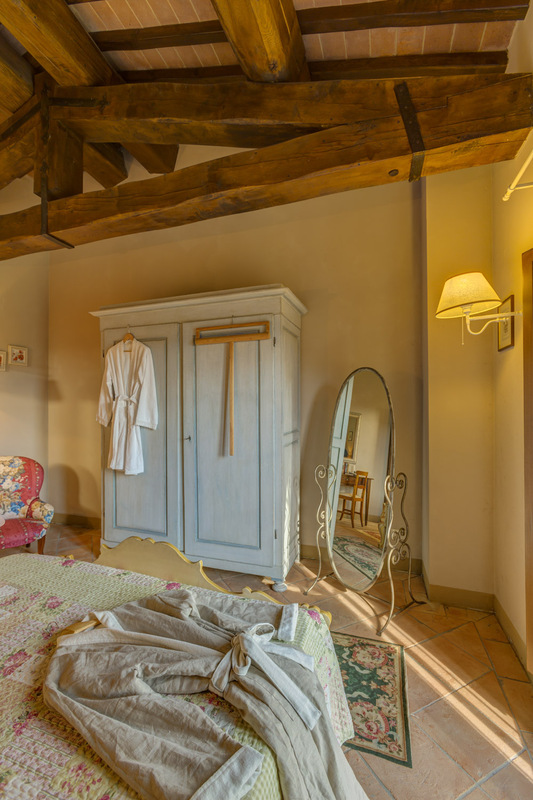 Wake up in the morning in a comfortable, rustic and modern four-poster bed, lulled by the elegance of the bed sheet, while the sun with its light is announcing a new beginning. A prestigious mirror on the ground decorates a corner, revealing a warm and smart lighting. 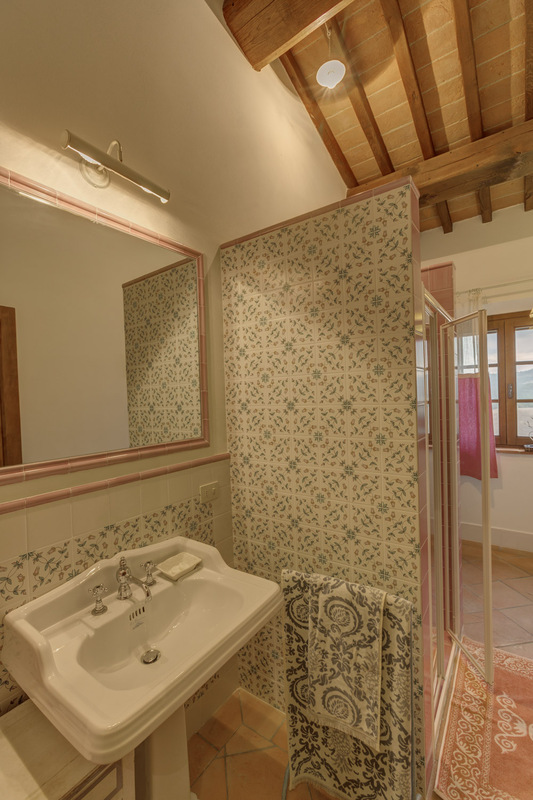 The bathroom is decorated with an arabesque pattern evoking an atmosphere full of comforts, while the smell of a genuine organic breakfast spreads throughout the mansion. 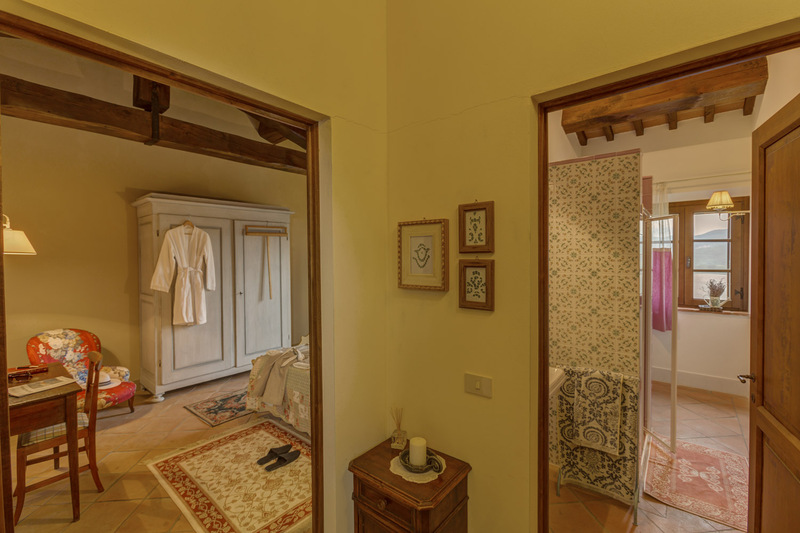 Choose for yourself Uliveta, a luxury room in Tuscany ready to welcome romantic and relaxing nights, the treasure of the only one villa among the luxury villas for rent able to draw a tailored stay. 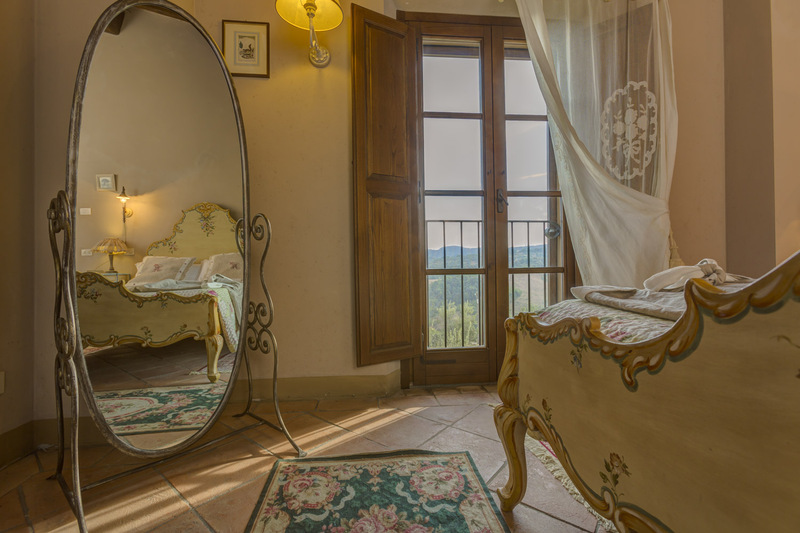 A luxury room in Tuscany, with view, a surprising fresco of this territory.